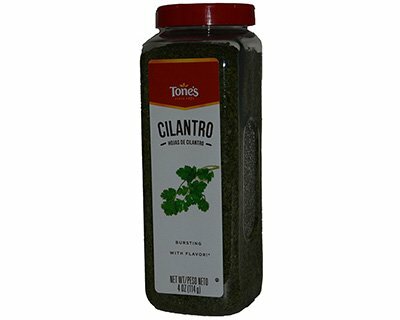 Tones Cilantro is the leaf of a hardy herb, Coriandrum sativum, the seed of which is coriander seed. The seed and the leaves have decidedly different tastes and are used in quite different foods. Coriander Seed is one of the principle ingredients in Curry Powder.